There are very few albums that can capture me upon first listen. I may be able to count them on one hand. An immediate reaction that finds me overwhelmed with love for what I’m listening to is a rare occurrence since it usually takes a few tries for me to actively digest what I’m hearing. If an album manages to resonate deep within my core to the point where I’m awkwardly dancing or bobbing my head (both of which vaguely resemble a body spasm of some sort), then that album has landed itself on my short list of first listen loves. 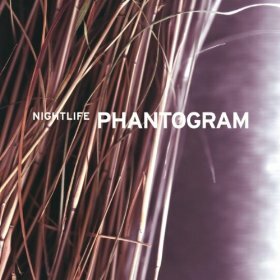 I’ve never looked nor felt more awkward dancing in my chair than I did when Phantogram’s Nightlife hit my ear drums. The six-track EP from the Saratoga Springs duo of Sarah Barthel and Josh Carter picks up where their debut album Eyelid Movies left off with Barthel’s tender vocals delicately laid over the chest thumping hip-hop inspired beats masterminded by Carter. From the second the drum cadence and guitar riffs on “16 Years” hit, your body will tell you whether it’s loving what it’s hearing. Though it’s the most straightforward song on the EP in terms of the musical arrangement, “16 Years” is rhythmically the most catchy, so it’s placement as the opening track on the EP was a smart production move. Nightlife feels much more three dimensional than Eyelid Movies in terms of instrumentation and the way the sound is built by layering synths with keyboards and guitar. “Don’t Move” has a cool disjointed feel with echoey sampled vocals spliced in and keyboards subtly interwoven into the melody. Though the ridiculously catchy beats make it tempting to throw the EP in the indie-electro-dance category, Nightlife definitely comes from a darker place and brings a deeper sense of emotion to the table than its predecessor. The relentless bass beats in “Turning Into Stone” are a red herring distracting attention away from Carter’s sorrowful vocals about loneliness and keeping others at an arm’s length distance (It’s just a line that i feel / It’s splitting me apart / I should belong / And ain’t it lonely / Living alone all the time / When everybody dies / And then I close my eyes). The only downside to Phantogram’s six-track EP is that it’s only six-tracks long, but I suppose that’s most easily cured by listening to it once and immediately listening to it again thereby turning it into a de facto 12-track LP. Now if you’ll excuse me, I’ve got some more awkward dancing to do. Stream Nightlife HERE on Phantogram‘s Facebook page.